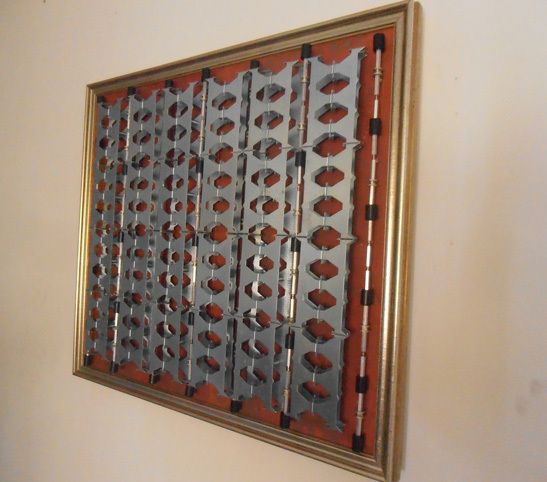 My art is a unique mix of modern and retro styles incorporating electronic computer pieces, lighting, wood and metal fasteners. I use new surplus electronic boards which were used in making electronic machinery back in the 80’s and 90’s. 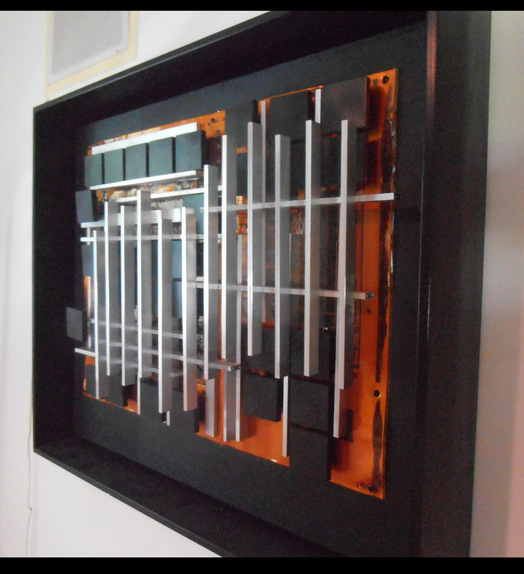 All of the parts I use in my pieces are then ‘lifted’ from the surface of my canvas using electronic metal standoffs that accent dimension and depth not found in flat canvas art and that make my industrial sculptures truly unique. I’ve included a few images of the same piece at different angles to show the depth of my pieces that normally can only be appreciated by viewing in person. Most of my pieces are about 20″x 48″ but I do make pieces as large as 48″x 96″ and all my pieces are one of a kind! A little bit more about me, I am a 64 year old man living in the Boston,MA area and I have been making art for 24 years. I am a self-taught artist and have an electronics background. I have approximately 85 pieces in my personal collection-some I frame and others I do not. I make Industrial Wall Sculpture. 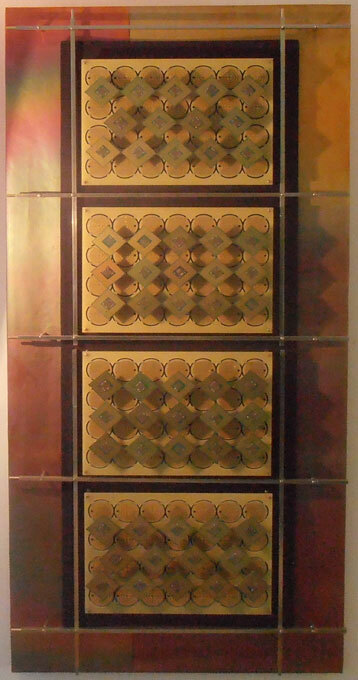 I mount New Electronic parts, circuit boards and other electronic surplus parts on a plywood canvas 24″ x 48″ in a pattern which is appealing to the eye, My pieces weigh an average of 20-30 lbs. They are very colorful and employ repeating patterns. I have never seen this type of medium done by any other artist before.